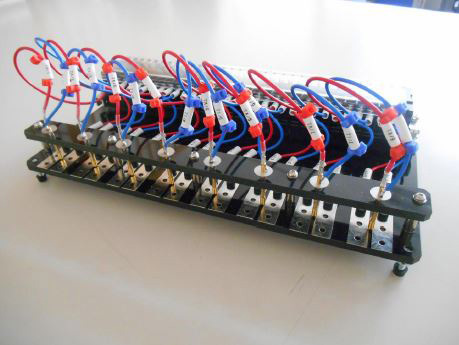 This equipment is used to clamp coin cells for sealing the cells. High accurate molds will guarantee almost 100% perfect sealing. 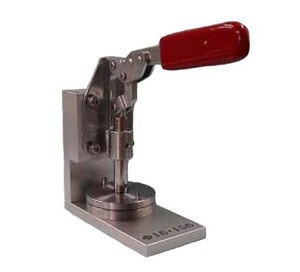 This equipment is a coin cell crimper operated by electricity. 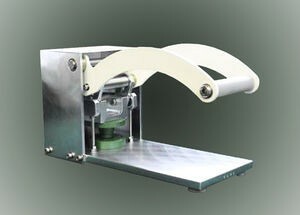 It has the same accuracy as the hand operated crimper. This equipment is able to punch lithium metal foils. 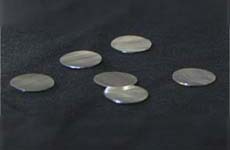 Punching dies will be manufactured upon request. Cases, Gaskets, Caps, Wave Washer, φ16mm Spacers are available. 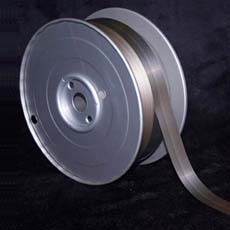 Various size of the lithium metal foil are available within the range of thickness = 0.1 to 3.0mm and width = 15 to 98mm. 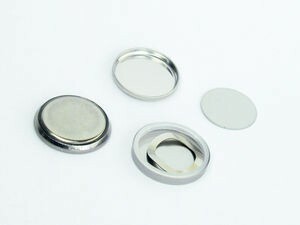 Various size of the coin shape lithium metals are available within the range of thickness = 0.1 to 3.0mm and diameter = 5 to 40mm. Each piece is packed with the aluminum laminated film. 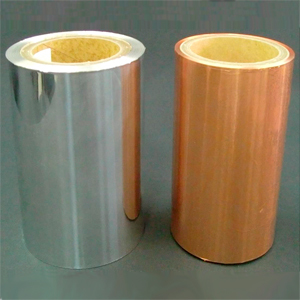 There are always stocked for aluminum and copper foils of 100mm、150mm、200mm width. 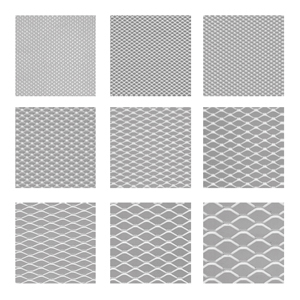 Please ask for other size and material of metal foils! Expanding metals are the sheared metal plates to stretch as the diamond-shape. 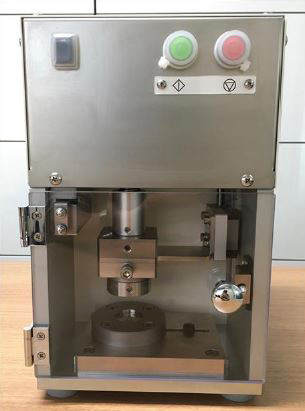 It is the setup tool for coin cells to connect with measuring instruments such as the charge-discharge instrument. It is equipped with the coaxial contact probes. the Website without the authorization of the copyright holder, is prohibited under the copyright law.